Have you ever dreamed of traveling through the infinity of time and space with your very own time machine? So have we. Just think of all the mischief and adventures… count us in! If you're also going to be spending your life traveling through all of time and space, then you’re going to need to look the part. And what other look screams “mad time-traveler” quite like a fez and bow tie? Sure, some people are not familiar with this unique look, but they’ll be far too enamored with your super awesome time machine to really notice. Plus, all that is important is that you think you look cool! 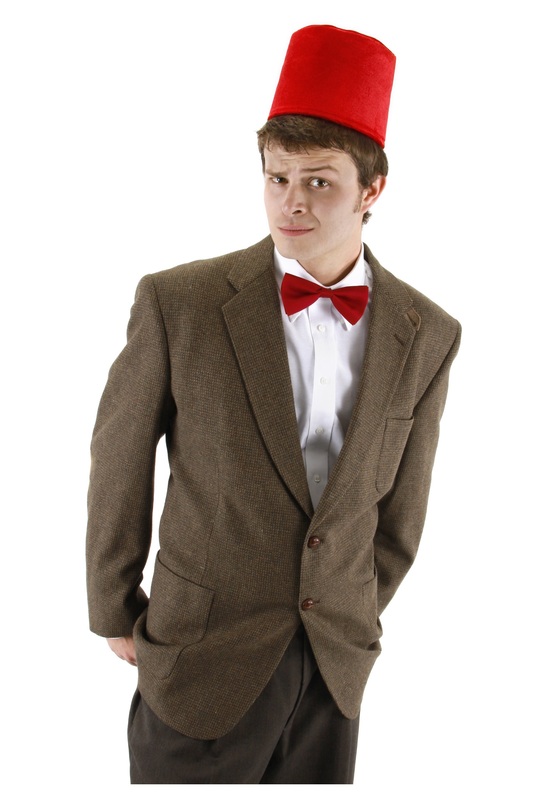 This fez and bow tie kit features a fully adjustable bow tie, so you’ll be able to look the part with ease. Heck, why not pick up a nice colorful scarf while you’re at it? These accessories won’t help you manage all the wibbly-wobbly timey-wimey stuff, but you’ll certainly be the most stylish being in the universe. What do you mean that bow tie looks ridiculous? Bow ties are cool!